SlotsMillion is one of the rising stars on the horizon, with more slots than you could play in a lifetime. 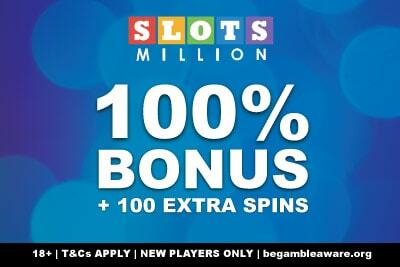 But should you claim the SlotsmMillion casino welcome bonus? Is it a scam or will it help you out? We investigate. If you haven’t read our SlotsMillion review, nows the time. 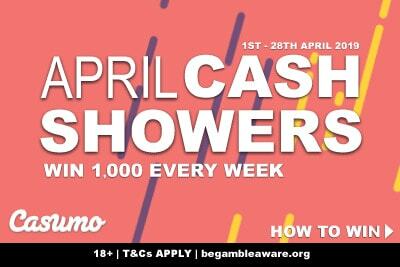 This post won’t be us telling you whether the gambling site is any good – we like it enough to add it to our small list of recommended casinos, so clearly we feel it is. This article is for those of you who have heard of the site, like what you hear, and know that you want to check it out. But before you do take the time to read a little bit about the casino bonus. Nothing in this life is free, and that’s certainly true of any casino offer given to you to walk through the doors. That’s not to say you shouldn’t take it, but you should know what you are getting into. In short: 100% up to £€$100 + 100 spins on 5 NetEnt slot machines. You may love it already, but it’s worth looking at the main T&Cs. What is the SlotsMillion casino bonus for new players? As is usual with almost every casino online these days, that depends on where you live. A UK casino player, for example, will see something slightly different from a player in Norway. That said, we will focus on the main offers that are available to the UK and most of Europe – with a little extra for those living in Canada. They have Interac, so they are a brilliant Canadian casino choice. Now depending on where you see this offer, you might see something like ‘2x your deposit’ or ‘double your money’ instead of the traditional 100% up to £€$100 offer. But it’s all the same thing. A 100% bonus doubles the amount of money you have to play; it’s just a different way of saying the same thing. The minimum you can deposit is £€$20, at which point you’ll get £€$20 in bonus money, and you’ll play with £€$40. See? Double your cash. The max amount of bonus money you can get is £€$100 – meaning that’s the maximum amount to deposit to get the max bonus. You can deposit more, of course, but you’ll still only get the £€$100 in bonus money, so bear that in mind. On your first deposit, you’ll get an instant 20 bonus spins, followed by 20 spins every day for 5 days in total. You open up the games and play. But you don’t get 100 spins all at once or all on the same game. You will have a reminder on your casino lobby to tell you which slots bonus you get that day, or you can always ask the live chat. But it’s all very automatic, so you don’t have to think much about it. Just open the game, and play. Are the NetEnt bonus slot games any good? Look, we are big fans of NetEnt mobile slots, especially their older selection. And that’s basically what you have here. The two standouts are the Gonzo’s Quest slot and the Jack and The Beanstalk game. These are both volatile and have a minimum bet of 0.20, giving you £€$4 worth of bonus each day. More importantly, they each give you value for money as Gonzo has cascading reels, so every win gives you a second, third or fourth chance at a win. Jack, on the other hand, has walking wilds, giving you up to 5 free re-spins every time a wild shows up. That said, the lower variance game will probably allow you to walk away with something in your pocket, which is why we approve of both the excellent Spinata Grande video slot and the wonderfully fruity Fruit Shop machine. As for Twin Spin, it’s one of the best games NetEnt has ever made. So it’s always a welcomed addition and certainly worth exploring. Because you cannot play NetEnt slots in Canada, you don’t get the bonus spins. Sorry guys. Don’t let that dissuade you though you get 25 bonus spins every Monday, Wednesday, and Friday, plus one of the largest collection of Canadian slots around. For that alone, it’s worth signing up. As for Norway, because of the currency exchange, you get a little extra boost. The SlotsMillion Norwegian casino bonus is 100% up to 3000kr + 100 free spins. The spins are on the same games we mentioned above; you just get a higher deposit limit. What are the primary Terms and Conditions? We will say this: the wagering is a little high, especially when you also have a withdrawal limit. If you manage to wager your bonus 48x, you should be able to withdraw everything that’s left afterwards for achieving the impossible. To calculate wagering requirements and more on the subject, make sure you read up on what it means. The SlotsMillion fair bonus casino policy goes like this: you can withdraw your money whenever you like. At many casinos, once you’ve taken a bonus, the bonus money will be tied to your deposit. So you will need to spend both, or certainly run out of your real money, because you can think of clicking withdrawal. As far as SlotsMillion mobile casino is concerned, the money you deposited is yours. So every bet you make, to begin with, will be with your real money. If you win big using this cash, then congrats! You can withdraw and walk away happy. You’ll have to forfeit the bonus money, but who cares? You have winnings. That’s worth 10 bonuses. The bonus money only comes into play once you’ve spent your first deposit. 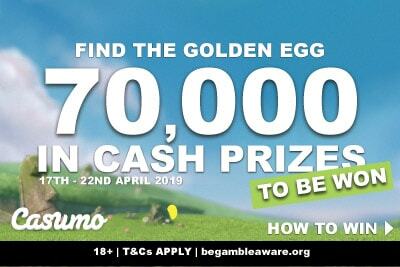 If you are not lucky enough to have a big win, you’ll then get to play with the casino bonus cash. Is this a good casino bonus? Bonus is a good word because that’s what it is. It buys you bonus time so you can place a few extra bets. If we were you this is the perfect moment to try new games, you want to test out, or maybe make a slightly bigger bet that would usually make you comfortable. You are playing with casino cash. It’s like Monopoly money; it doesn’t really belong to you, but you can still have fun pretending you have your own slot empire. And hey, the extra bonus spins gives you a good place to start on which games to try out next. Because with thousands of fruit machines available to play, you are going to want a little guidance to navigate this huge, fun, casino. But who knows? 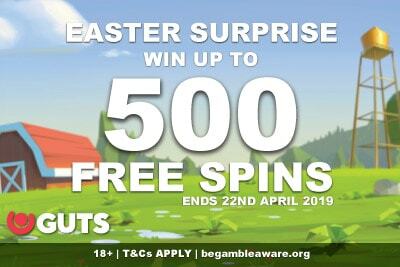 All it takes is one good spin and a 5,000x your bet win for you to walk away richer, easily clear the wagering, and with a spring in your step. And isn’t those big slot wins what we all play for at the end of the day? Bonus on deposit of 100% up to €$£100. Not claimable with Skrill, ecoPayz or Neteller, Requires phone verification, Min deposit £20 + 5 bonuses of 20 Extra Spins each, granted each day for 5 days, available for 24h. Each bonus must be wagered x48 to turn into withdrawable cash. Bets limited to £3, Contribution to wagering varies between games, Some games cannot be played with bonus, Expiration 7 days after activation.